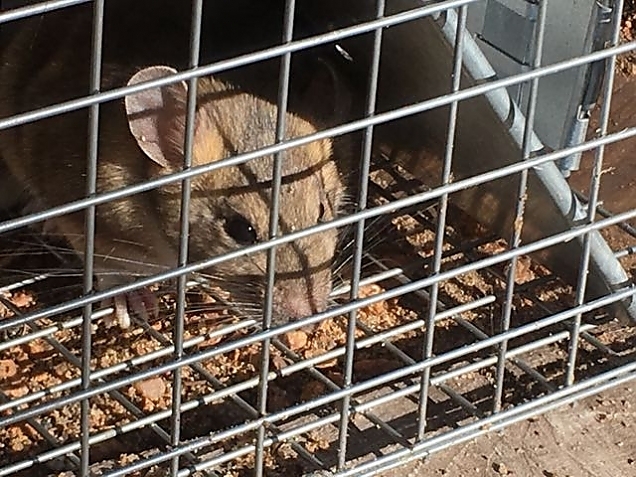 We caught a pack rat in the live trap on Thursday night. That's one down, not sure how many to go. They are too cagey to get caught in the kill traps. I baited them with apple slices and some rolled up aluminum foil. They just steal the apples, trip the trap, take the foil to decorate their nests, and go on their merry way. For some reason, I seem to have better luck with the live trap (also baited with an apple slice and foil). 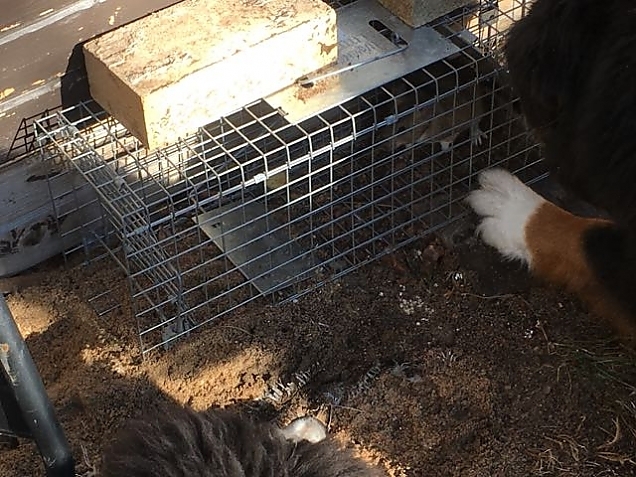 The dogs went crazy when they saw the pack rat in the trap. Barking, growling, pawing, and the showing of teeth was in order. 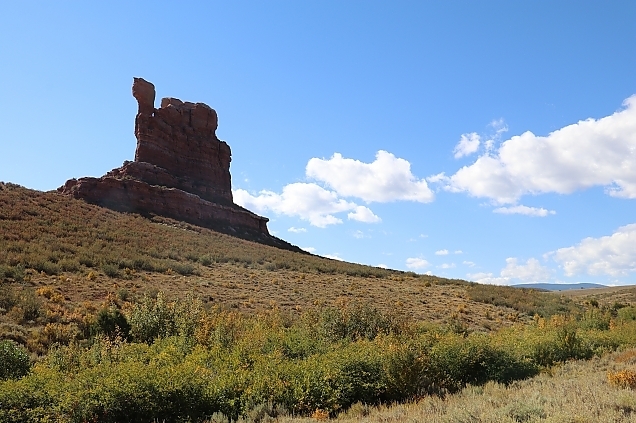 This is along Sand Creek at the base of Chimney Rock (aka Camel Rock) on the Wyoming side of the border. I could just walk the trap down by the creek and release the rat. It would be a nice place for him, and far away from the cabin. But, I'd probably get caught. I would not have the required permit to release an animal into the wild. And, on top of that I'd also probably be guilty of transporting said animal across state lines. I could spend the rest of my life in jail. It would be a nice place to release the rat, though.